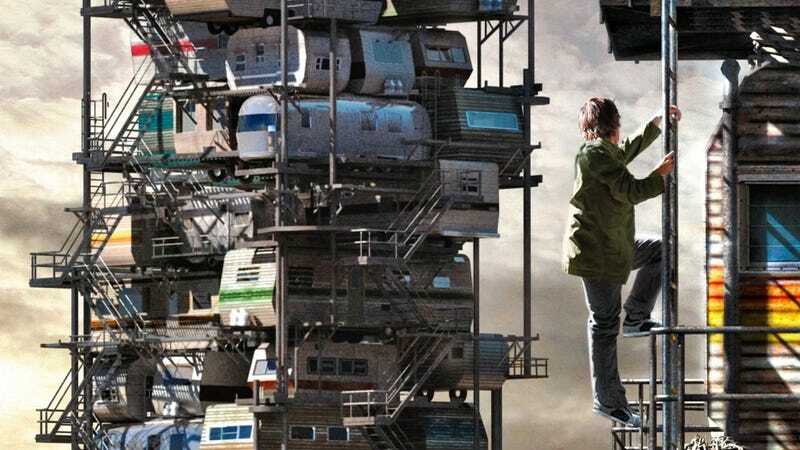 Steven Spielberg is bringing Ernest Cline’s book Ready Player One to the big screen. The famed director is currently filming in the U.K., and here’s a peek at the production. As The Birmingham Mail points out, the production has turned the city’s historic Jewellery Quarter into a dystopian American future. Ready Player One will hit theaters in March 2018.